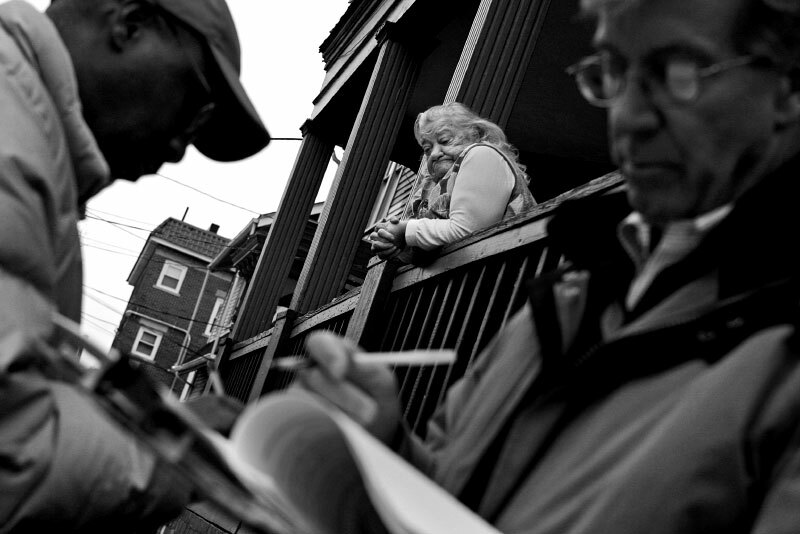 Irene Foss, 79, watches as Auctioneer Richard C. Jumpp attempts to sell the triple-decker house where she rents an apartment. The only potential buyer, Joe Davis, left, makes an offer, but it is not high enough and the bank keeps the property. Foss worries about her fate, knowing she will have to move. The tenants already had to take up a collection to get the water turned back on after the landlord stopped paying the bills.